One of the most critically and commercially successful films of 2014, Marvel Studios’ GUARDIANS OF THE GALAXY relays the adventures of a disparate group of intergalactic misfits, on the run from space cowboys and blue-skinned aliens. 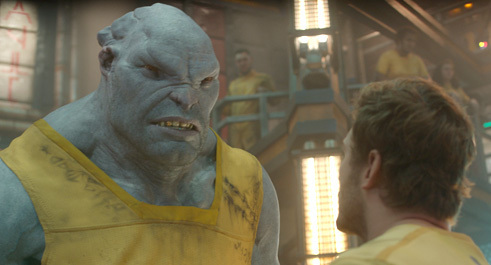 Directed and co-written by James Gunn, the film was shot by British cinematographer Ben Davis, BSC, who spoke with ARRI News about working with ALEXA XT on GUARDIANS, as well as on his subsequent film with Marvel Studios, AVENGERS: AGE OF ULTRON, which he shot in the ARRIRAW Open Gate format. The ALEXA XT camera packages for both films were supplied by Panavision, along with Primo lenses. GUARDIANS OF THE GALAXY relays the adventures of a disparate group of intergalactic misfits, on the run from space cowboys and blue-skinned aliens. Directed and co-written by James Gunn, the film was shot with ALEXA XT cameras by British cinematographer Ben Davis, BSC. Was there a testing process to decide what cameras to use on GUARDIANS? What led you to ALEXA XT? We tested several camera platforms, including film, and the way I view the different digital cameras available out there is like different film stocks. It’s a question of which film stock is the best one for a particular shoot. One of the reasons I like the ALEXA XT is because it’s user-friendly. I like the way the camera is set up and I understand the thinking behind it; ARRI has been making cameras for professional filmmakers for many years, so they have a much better idea of what’s required than the newer camera manufacturers. I knew we were going to have a lot of hot practical sources in frame and on all the tests I saw, the ALEXA had the best dynamic range; the highlights seemed to hold a lot better and the highlights retained more color than other cameras. read the rest of the interview via ARRI Group: News.